Researchers suggest the Mediterranean Project “regulate and even prohibit any activity relating to exploration, modification or operation of the soil and subsoil” in these areas. Odontocetes (toothed whales such as sperm whales or dolphins) often use sound to communicate, hunt and interpret the middle frequencies. Baleen whales (cetaceans like whales) use frequencies below 300Hz, so their behavior is greatly altered by acoustic surveys using similar frequencies. Baleen whales are usually away from the noise source, but there are cases in which acoustic pulses used for campaigns can produce physical damage to hearing organs or other tissues, and even cause death if these specimens are close to the acoustic source.. Moreover, the fast propagation of sound waves has an impact on areas far from the emission sources, resulting, if not in serious injury, discomfort important enough to change the life habits of these species. 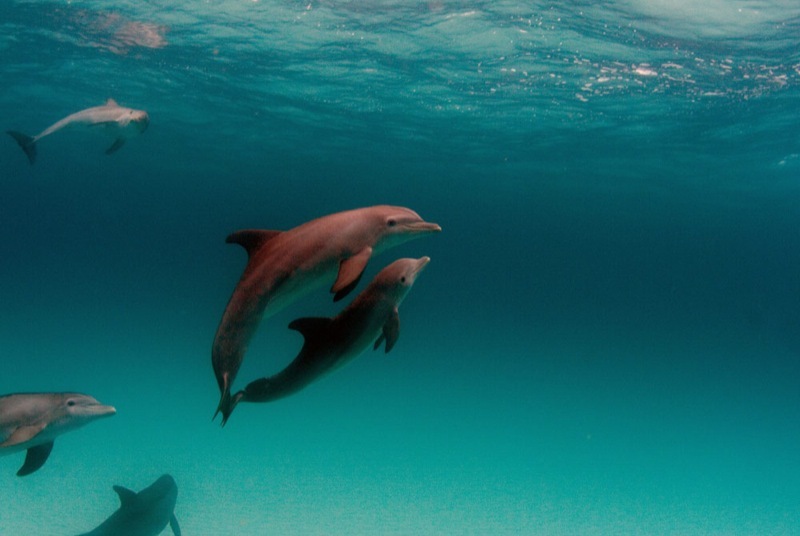 In the specific case of the bottlenose dolphin (Tursiops truncatus), also classified as a protected species in the various regulations, one of its most important Mediterranean wintering sites is Ibiza and Formentera. The significant reduction of fishery resources by seismic activities can also severely affect the wintering population, by reducing the feeding areas of the species. Chronic pollution from the operation of the wells may cause the accumulation of persistent toxic organic compounds in the body fat of marine mammals. In the catastrophic case of an accident they may suffer plugging of their airways or damage to the respiratory tracts and mucus as the effect of chemical contaminants. They also ingest large quantities of highly toxic hydrocarbons by feeding on infected animals.